Sit back. Take a load off. Let me introduce you to The Yacht Week, Thailand. South East Asia is unchartered territory for us. 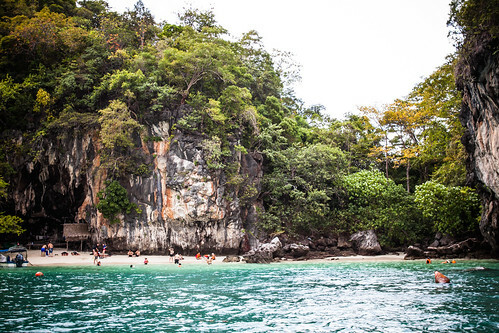 The west coast of Thailand is home to some 39 main islands and a hundred or so smaller ones dotted about the region. These specks in the ocean are a tantalizing composition of turquoise water, lush inland jungle and divine beaches. Stretching the horizons, our itinerary aims to unearth a raft of settings with un-spoilt natural beauty coupled with a myriad of adventure activates, ultimate sailing and of course some wild parties. With a fleet of 13 yachts and a crew of 120 Yacht Week alumni from around the world, there’s going to be no messing around. We know what we’re in for and the energy is ecstatic. Think limestone islands, sheer cliffs, hidden lagoons, fire dancers, ramshackle beachfront bars and a wealth of natural beauty, it’s going to be one hell of a week! If you are sitting in the office watching the rain and burning the working day on YouTube, come join the trip cruising the Andaman Sea and follow the shenanigans through our daily journal. 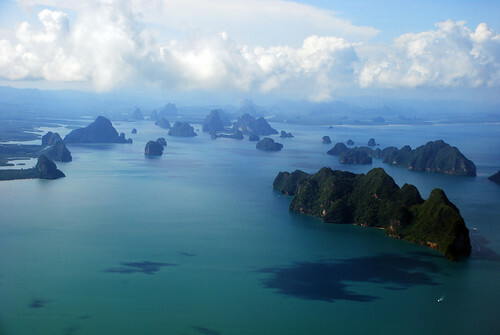 It’s my job to tease you, but more importantly, I want to show you why Thailand is going to be the number one destination for The Yacht Week in 2014. Are you ready? Buckle up, let’s go!